What is the purpose of the Semi Stainless Steel Hand Pallet Truck? Stainless steel is a durable and lasting material that will not wear quickly under the demands of a heavy load. The Semi-Stainless Steel Hand Pallet Truck is designed to withstand up to 2000 or 2500kg of weight, depending on which size pallet truck you choose to purchase. 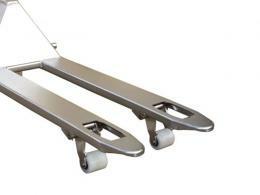 The body of the pallet truck, all of the moving parts, and the various bearings are constructed with stainless steel. The only thing that is not stainless steel is the hydraulic pump and handle, which is galvanised. 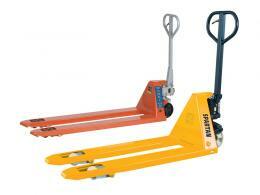 This pallet truck is ideal for any work environment where you have to transport heavy loads. While the Semi-Stainless Steel Hand Pallet Truck is most frequently found in warehouses, home improvement stores, factories, and other such work environments, it is also a useful tool for places like sorting facilities or offices with large deliveries coming in. 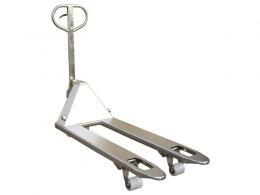 The Semi-Stainless Steel Hand Pallet Truck is incredibly easy to use. Any team member will quickly pick up on how to operate this pallet truck and will be able to use it for any transportation needs. Your staff will quickly fall in love with it as it will make their work easier and allow them to work more productively. The Semi-Stainless Steel Hand Pallet Truck is ideal for anyone working with large loads in a warehouse, a factory, or any other work environment. Other than the stainless steel and galvanised build of this pallet truck, the Semi-Stainless Steel Hand Pallet Truck is also equipped with a nylon steer and nylon load wheels. 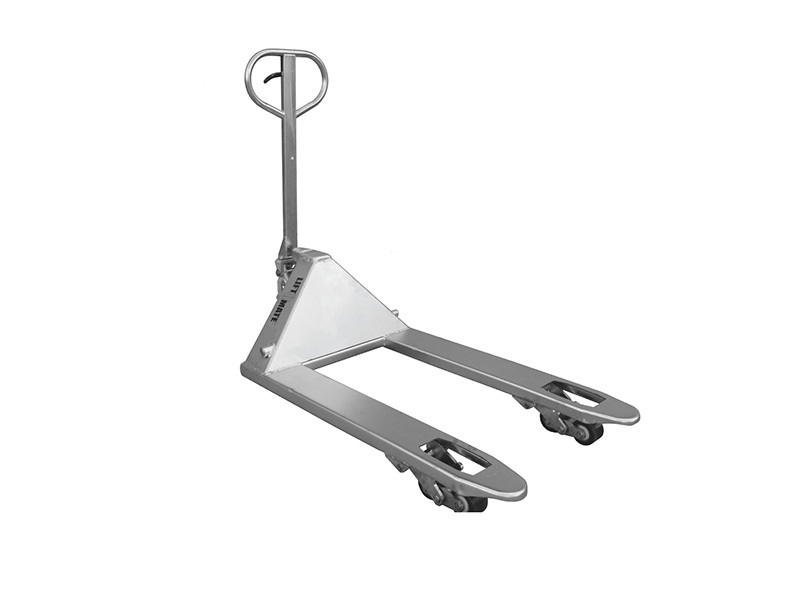 The Semi-Stainless Steel Hand Pallet Truck is available in two sizes. One comes with a 1150 by 520mm fork size and can hold up to 2000kg of weight. The other is 1000 by 680mm and can support up to 25000kg of weight. Both have a lift height that ranges from 85mm up to 200mm. Have your pallet truck delivered for free in 3-4 days and enjoy a one-year warranty for parts and labour. In addition, we offer a price match, so you are guaranteed to get the lowest price possible.